He was involved as an advisory board member and it doesn’t appear anywhere that his wife was involved in King’s Daughters, however he played an important part in guiding the development of the home and the beginning of the endowment fund . 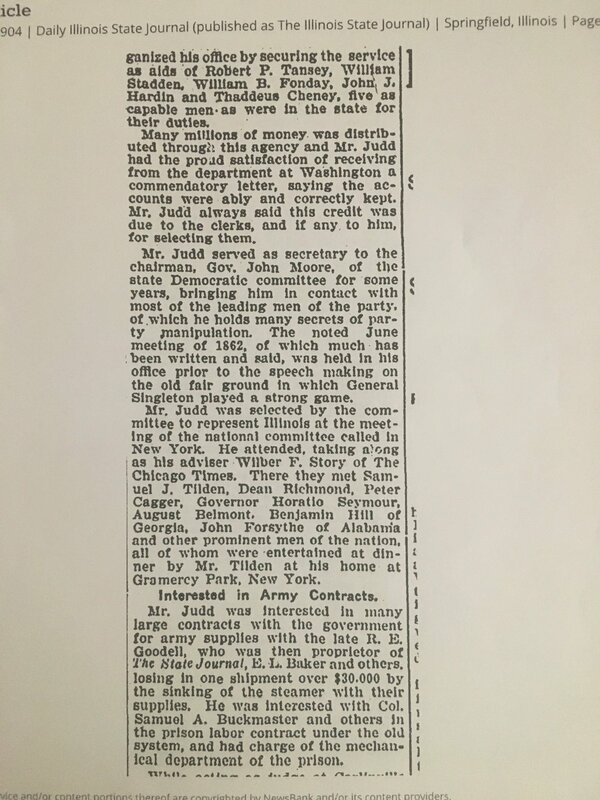 As mentioned in an article published in the Illinois State Journal, on the May 7, 1895, Annual Corporation meeting, George Judd was present and interested in the project. 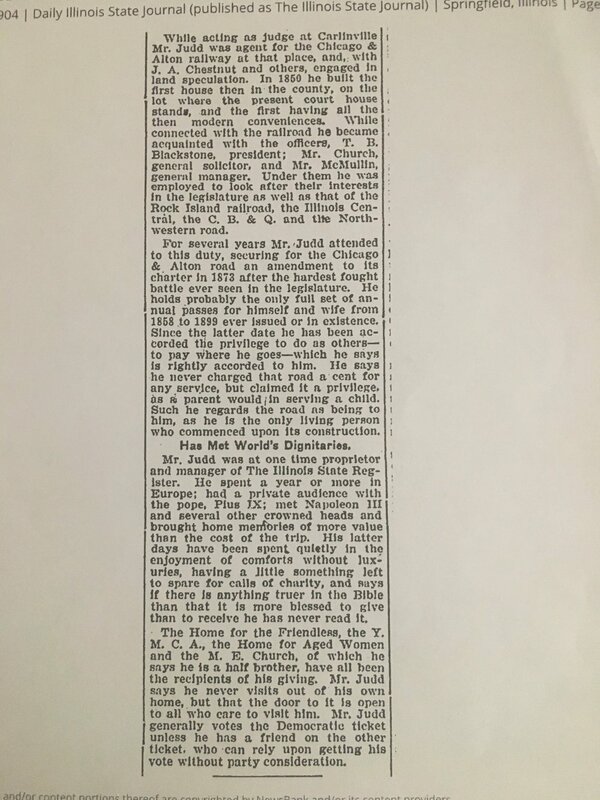 It states he won the gratitude of the King’s Daughters by donating the comely sum of $1,000 toward an endowment fund and $500 additional for the repair of the home which has been purchased (and would open its doors to Aged Women in October). These donations were made on the accepted condition that the home should be exclusively for aged women instead of having the wider purpose desired by some of the circles. An effort was made to amend the constitution so that friendless girls (presuming Home for the Friendless girls) might be taken in and cared for, but the proposition was voted down because it was thought the undertaking would be too great. The question evoked a spirited but friendly discussion. This is the first reference to a King’s Daughters endowment fund, which now, 125 years later, is funding the grants given out each year by our organization that are enhancing the lives of the elderly. 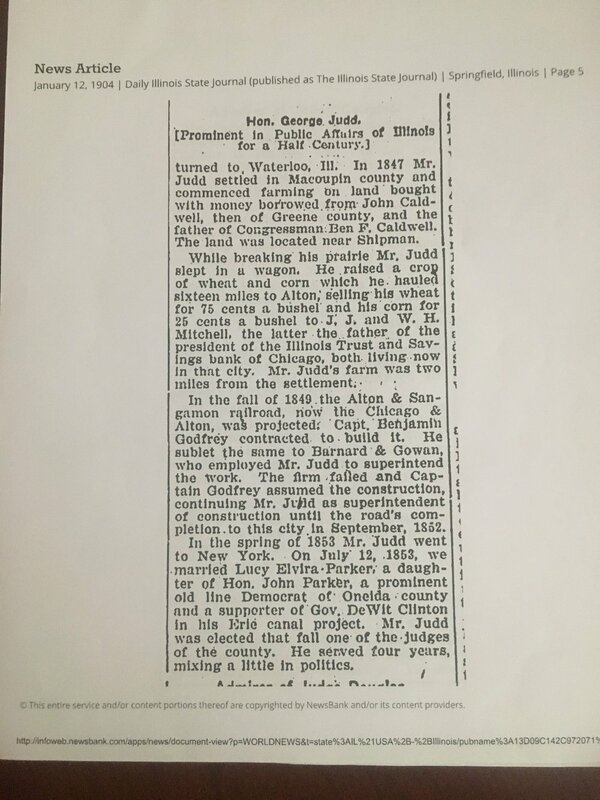 As a point of reference into that time, the first community foundation was founded in Cleveland in 1914 and the Community Foundation here in Springfield was started in 1924. Not to say this was the first endowment in Springfield, but it was pretty early on. Keep in mind that $1500 in 1895 is valued at approximately $42,000 in today’s dollars. 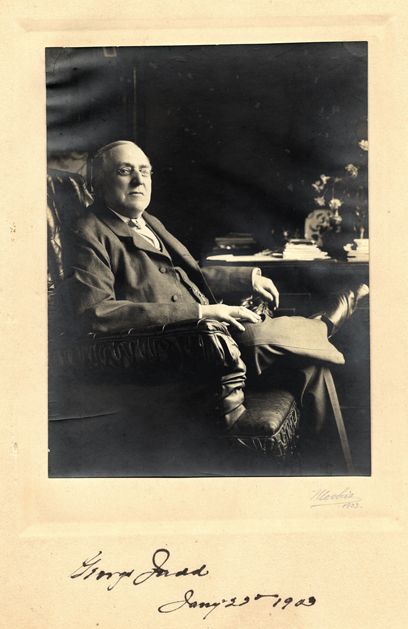 So, George Judd, who won the gratitude of the early members, has our gratitude today!